Visitors to Kilcowera throughout 2010. 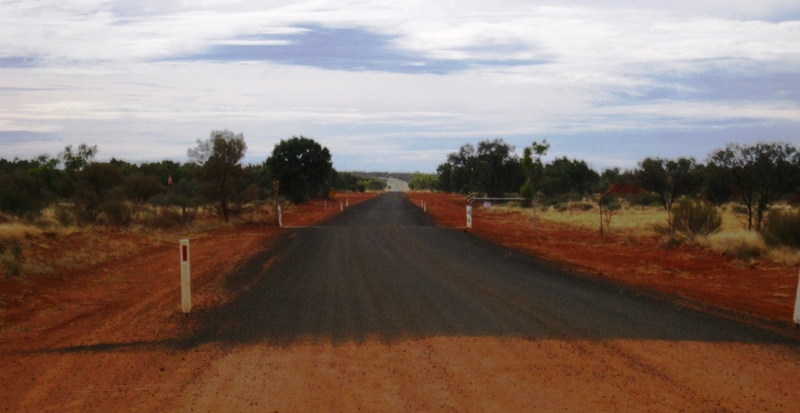 Driving along the Dingo Barrier Fence our western boundary. As our tourist season draws to its conclusion for 2010 (and I don’t know why as the season and the weather is wonderful), it’s interesting to look back on who and what type of people have been here. We have a few small tour groups that come every year, Bill, Pamela and Adrian from Outback Bush Adventures based in Adelaide have been visiting for about 6 years now. Bill has been great, sticking by us through the very dry years we have experienced and has now seen the place looking the way we like to see it – green! Then there is the delightful and super organised Maureen, a tour leader with Young at Heart. They fly into Thargomindah and we pick the group up and bring them out to Kilcowera for the night. This year they have been flying over the flooded Outback enjoying the spectacle of Lake Eyre, Coongee Lakes and the Bulloo River Overflow as well as Lake Wyara. There are usually about 12 in the party and we provide meals and tours and Outback hospitality for them. John Tuckerman who runs Insights Tours also flies out, but lands at Kilcowera as his plane is usually a 6 seater and is not too heavy for our strips. These passengers get a more in depth tour as we have more time to devote to them. John usually manages to sneak in a family member on his trips. He is wonderful to his passengers and is a meticulous pilot – he gets 5 stars from us! John is third from the left in the photo below. And that’s us in the big hats. Birding Services Brisbane has also been coming to Kilcowera for a number of years. Roy Sonnenberg is the tour leader and owner of this company and does he know his birds! Every evening at Kilcowera, he and his clients sit around the dining room table and go through all the birds they have seen that day, tick them off on a list and do a running tally on the number of different species seen on the trip. He gets people from all around the world. One year he had a Japanese girl who badly wanted to see Budgies in the wild as she had a little caged bird as a pet and loved it dearly. Not long before his last visit we had put a new road in to a gorge that had been inassessable previously. His reply: “ Toni, we’re not here to look at the scenery, are there any birds there?” Bird people can be a bit one eyed! Carol Proberts from the Capertee Valley in the Blue Mountains also brings birding groups to Kilcowera for the best of Outback birdwatching. Her group usually spends 3 or 4 days here, we provide some meals for them and local Knowledge about where bird hot spots might be. Greg and I both like to tag along with some of the birders some of the time to learn more about our birds. There are quite a few little brown or grey birds that we haven’t got a clue about, but the birders soon set us straight! 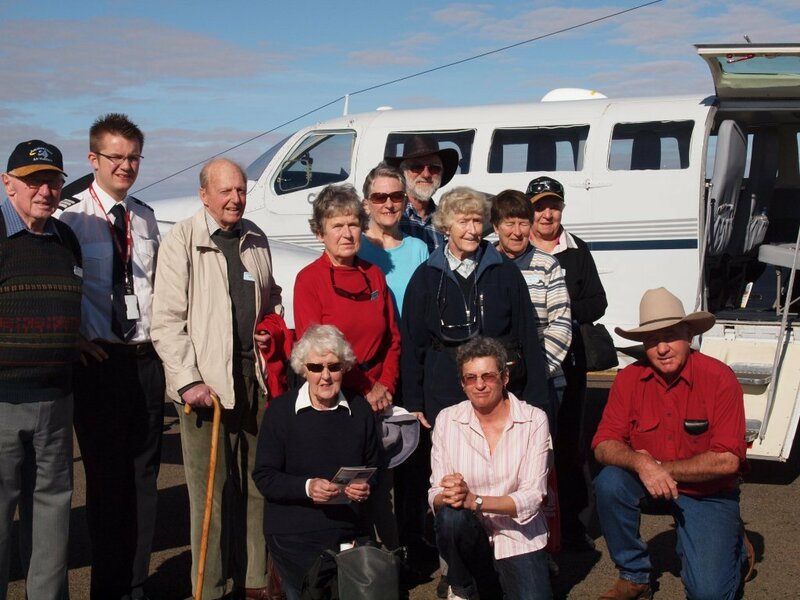 We also have a couple of tour groups that travel in the 16 or 18 seat four wheel drive buses – Outback Track Tours and It’s Easy Tours. We love these ones as it usually means a full Shearers Quarters and we do all the meals. They do the full day tour of Kilcowera in their own vehicle and one of us goes with them for the day to provide commentary and to answer the many questions. Margaret Scells, lady pilot extraordinaire, from the MacIntyre Aero Club also brings visitors here by private charter. She seems to like coming here and we are very fond of her. Margs’ visitors are always nice people. She has her own plane and her brother Paul flies a helicopter, they also have a farm not too far from Goondiwindi. The Variety Club was going to come here this year on one of their smaller bashes but it was too wet and they had to cancel. I think they are coming next year, weather permitting. They were here a few years ago and we’ve also had Rotary Clubs, Four Wheel Drive Clubs, Flying Clubs and Camper Trailer clubs. This year we have had a lot more people camping than staying in the Quarters, more families, more birdos, photographers and caravanners. Also quite a few visitors making a repeat visit to see Kilcowera after the fantastic rain we have had. 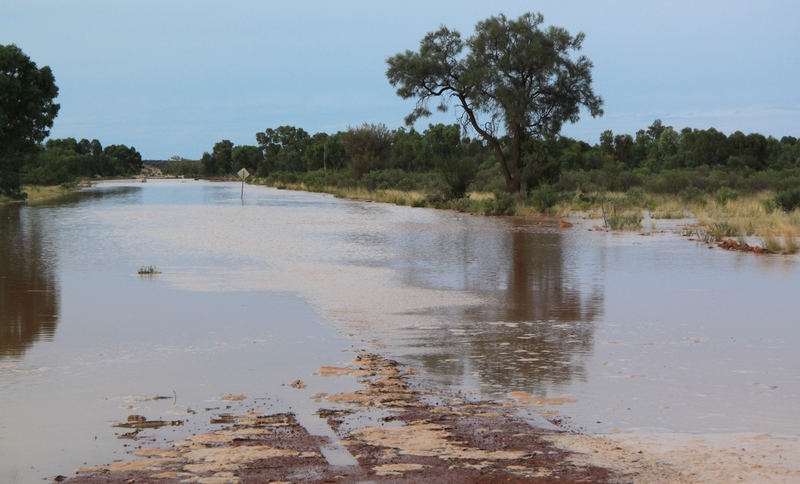 An unfortunate side effect of the rain was roads being closed both locally and on the station and cancellations as visitors were not able to drive to Kilcowera. And yes we did have a few people bogged on one of our roads early in the year (that would be Ivan and Sandra in particular!) and so we now close our roads if there is any doubt about them. The Royal Geographic Society of Queensland visited for 2 nights recently and we took them all on a tour of Kilcowera in our little bus and station wagon. We also cooked a camp oven tea for the four wheel drivers amongst them. Angela (our youngest daughter) and Glen came down from Quilpie to lend much needed assistance. The campground and quarters were pretty much full up and we even had campers at the lagoon too. We have also had the RACQ down here twice – one lady locked her keys in the boot and another couples’ Nissan would not start. A film crew from Sydney was here to get footage of the pelican rookery, they had to leave in a hurry due to wet weather. They even left a car behind in their haste. We had a famous Australian author and his lovely wife visiting, but he shall remain nameless as he didn’t sign our visitors book. All the other guests enjoyed your company Tom – said you were very entertaining. We also had 2 back packers here for a month helping out, they were a nice young couple, she was French and he was Australian. Then there was the journo from the Courier Mail and the Entomologist from the Queensland Museum and their photographer. Their visit culminated in a feature story published in Qweekend about the transformation of the Outback after the wonderful rains and our frog being the cover person. It was a hoot watching those 3 grown men out on the flat trying to muster that little frog into a good position to have his photo taken. They were out there for hours. Lots of our visitors have been coming to us from the local VIC and others just dropping in, having seen our signs on the main road, some are using the Camps Australia Wide book which lists stacks of reasonably priced camping spots and some find us through word of mouth. However they find us, we thank them all for visiting us and hope they enjoy their experience at Kilcowera and come back another time and tell all their friends about us. 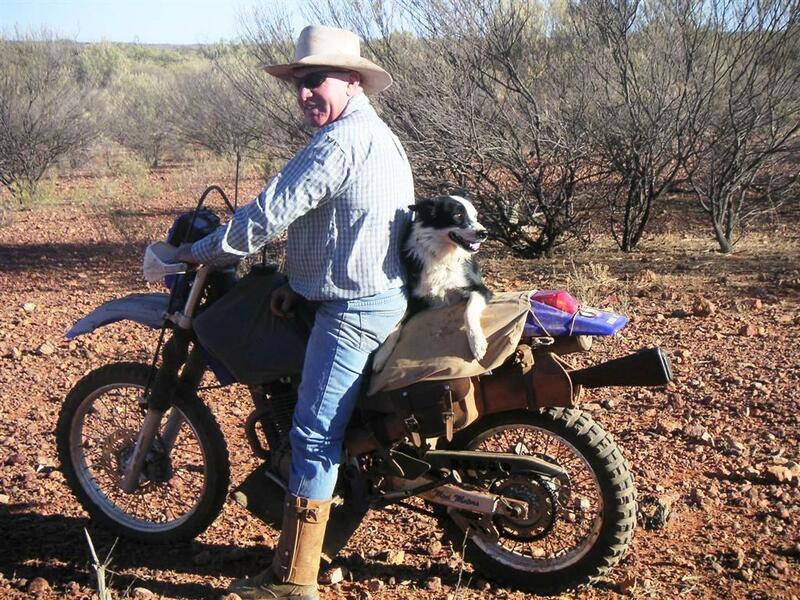 And get on the internet and write about us on forums and trip reviews, post their photos, tell about their outback trip on blogs and facebook…………………..